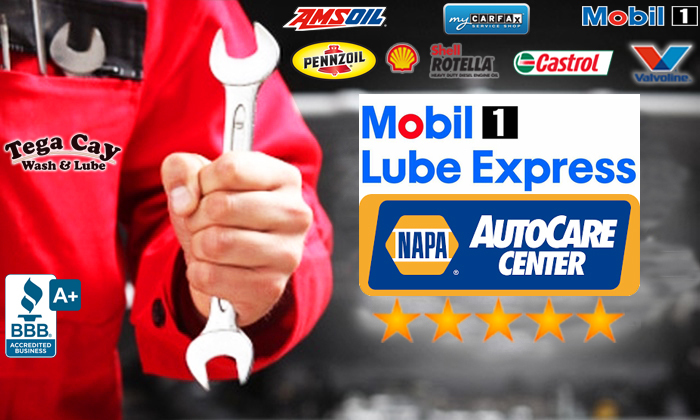 Tega Cay Wash & Lube is a Mobil 1 Lube Express and partnering with NAPA Auto Care Centers for car repairs and oil changes. We also carry NAPA Auto Parts and our location is near Fort Mill, Indian Land & Lake Wylie, South Carolina. We’re an Accredited Business with a A+ and 5 star rating with the Better Business Bureau and we provide a variety of automotive services and auto repairs. You may ask yourself how often to change your oil, there is no need to search oil change place near me around me, close to me or nearby me any longer. 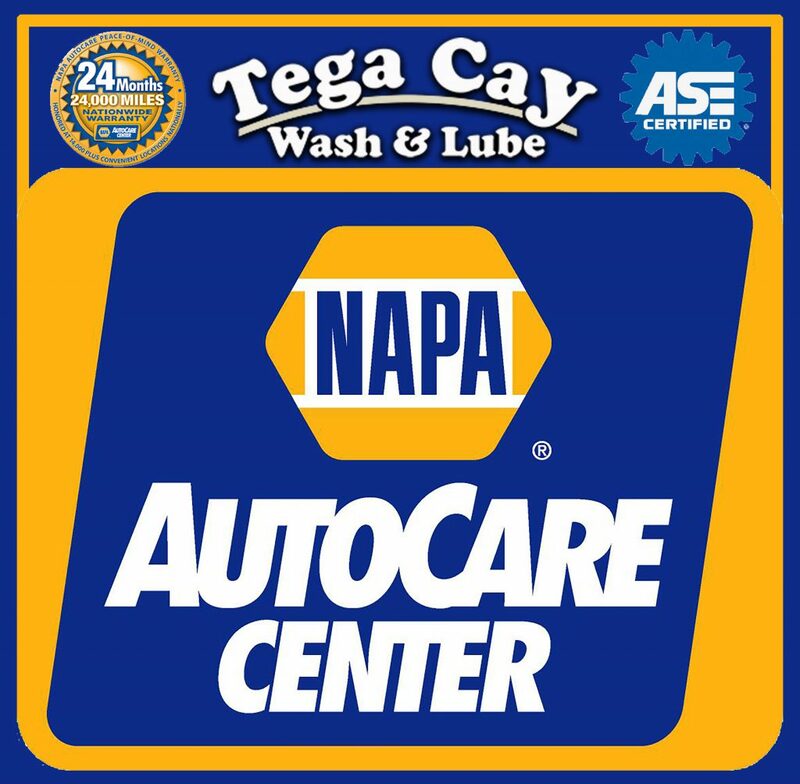 Our NAPA Auto Care Center is located near, Indian land, Lancaster, Fort Mill, Lake Wylie, Rock Hill, Steel Creek and Ballantyne Charlotte areas. Our certified auto mechanics and technicians can educate you on the miles between oil changes based on certain oil types like synthetic oil and high mileage oil. 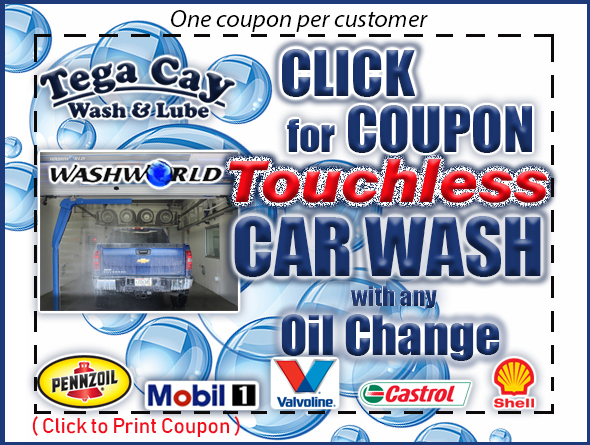 We offer fast & quality car oil change & lube, car repairs, auto service, brake service & maintenance program. 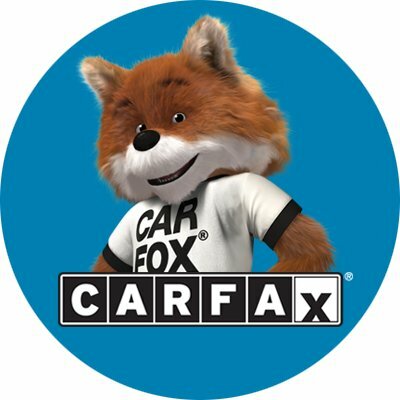 We also partner with CARFAX in protecting the longevity of our customer’s vehicles. We pride ourselves with fair prices and providing monthly discounts and coupons. We provide more than your standard fast Oil Change-Lube “unlike Jiffy Lube” we offer car repairs & auto services including; Tires and Rotations, Transmission and Radiator service, Brake and Belt Replacement, Fuel system cleaning, Fleet Management programs, Battery Replacement (Interstate Batteries) and Rain X Latitude Wiper Blades unlike your standard Fast, Quick, Express, Instant or Shell Rapid Lubes we carry a variety of oil that include: Shell Rotella T, Pennzoil, Valvoline, Mobil 1 Synthetic and Castrol. Enjoy our state-of-the-art Razor Touchless Automatic carwash or our do it yourself Handwash Self Serve bays, Vacuums for Cars and Boats. We are local and near, Indian land, Fort Mill, Lake Wylie, Indian Land, Lancaster, Rock Hill, South Charlotte, Ballantyne, and Steele Creek areas. Our goal is to make our customers experience as enjoyable as possible. 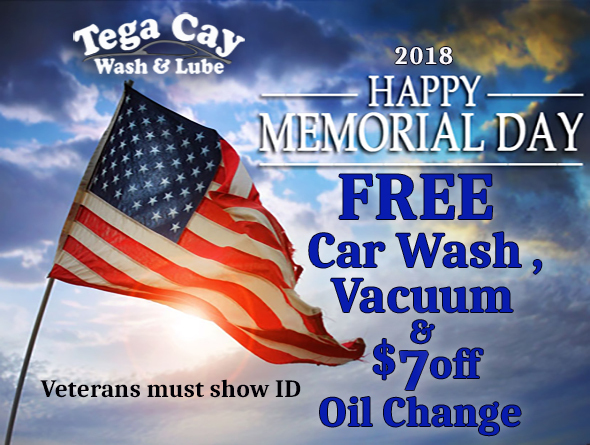 Pennzoil- Tega Cay Wash and Lube / Oil Change is dedicated to you with, quality and fast auto service for preventative maintenance service to help extend the longevity of your vehicle. While it’s true today’s cars are more complex than ever, our service mechanics have the expertise your vehicle demands. Fleet Accounts and Management Cards Accepted: American Express, ARI Fleet, BBL Fleet, Donlen Fleet, Emkay Fleet, LeasePlan Fleet, Enterprise Fleet, Element Fleet Card, Master Card, PHH Fleet, Visa, Voyager Fleet , Wheels Inc Fleet & WEX fleet. We can handle Fleet accounts on site, call for details. Our Oil Changes, Brakes & Auto Repair Service is done fast & with quality. 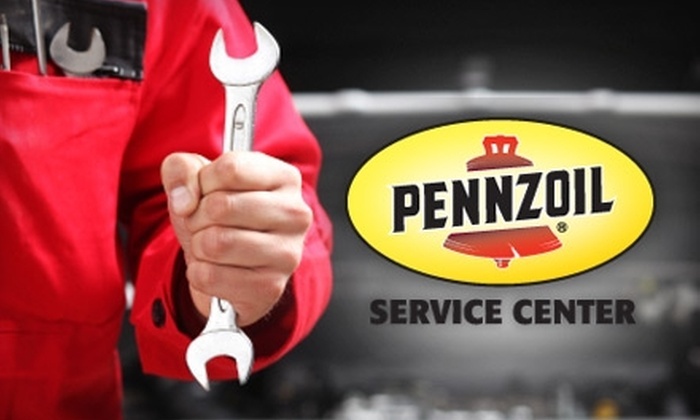 Pennzoil – Tega Cay Wash & Lube Auto Care Center near Fort Mill & Lake Wylie, South Carolina takes pride in a quick & rapid oil change-lube service that will only take 5 minutes & will be done in an instant. Our express service oil Change-Lube will leave you happy and satisfied along with our experts in Auto Repair, Brakes and tire repair. Car maintenance is important to your vehicles engines life, we offer air filters and flushes to keep your car performing at its best & we will be done in a jiffy. We offer Pennzoil, Shell, Mobile 1, Castrol, Valvoline including Synthetics, high mileage. We also offer Shell Rotella T for the best prices on a diesel oil change & lube around Fort Mill & Lake Wylie, South Carolina. 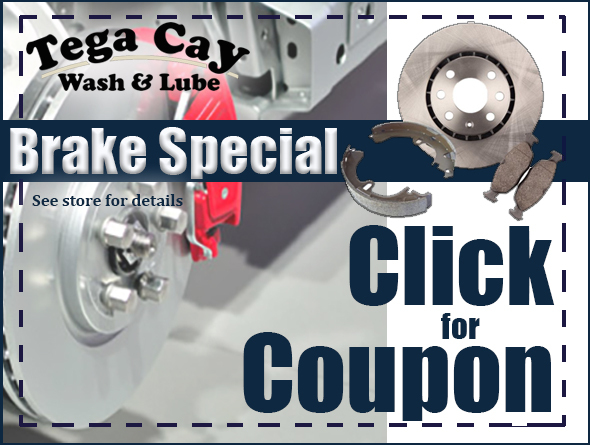 Call now and save on monthly discounts and coupons. We are BBB accredited with an A+ rating and have 5 star rating with the Better Business Bureau. We are located near Tega Cay, Fort Mill, Lake Wylie, Lancaster, Indian Land, South Charlotte, Ballantyne, Rock Hill and Steele Creek areas.